In this paper, we develop a generic framework for comparing spatial models whose dynamics ranges from comparative static equilibrium structures to fully dynamic models. In the last 40 years, a variety of spatial models have been suggested. Until the mid 1980s, most models were static in structure and tended to embrace detailed mechanisms involving spatial economics and social physics. Typical examples were Land Use Transportation Interaction (LUTI) models that embraced theories of spatial interaction and discrete choice modelling. During this earlier period, the problems of making these models dynamic and more disaggregate was broached but progress was slow largely because of problems in collecting requisite data and problems of increasing the complexity of such models to the point where they could be properly validated in traditional ways. 20 years or more ago, new modelling approaches from very different sources came onto the horizon: in particular, dynamic models based in Cellular Automata (CA) which were largely physical in nature and Agent-Based Models (ABM) providing explicit behavioural processes that often rested alongside these automata. Systems Dynamics Models (SDM), Spatial Econometric Models (SEM) and Micro-simulation Models (MM) all informed the debate. It is tempting to see these models as all being of different genera but here we attempt to see them as part of an integrated whole, introducing a framework for their elaboration and comparison. After the framework is introduced, we review these six model types and choose three - CA, ABM and LUTI models - that we then work up in more detail to illustrate these comparisons. We conclude with the conundrums and paradoxes that beset this field. This working paper is available as a PDF. The file size is 1.24MB. 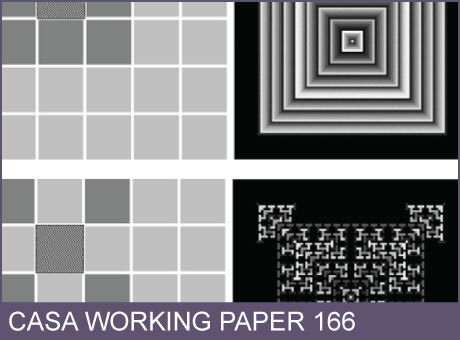 Download working paper No. 166.